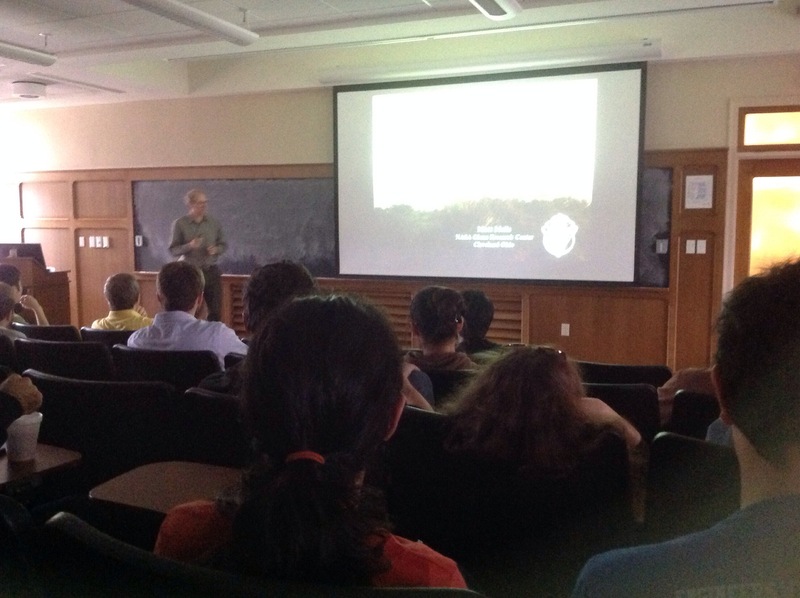 On Friday, Oct 3 we were lucky to have Matthew Melis, who works in NASA Glenn Center, to give us a presentation about the lesson NASA learned from Columbia accident investigation. 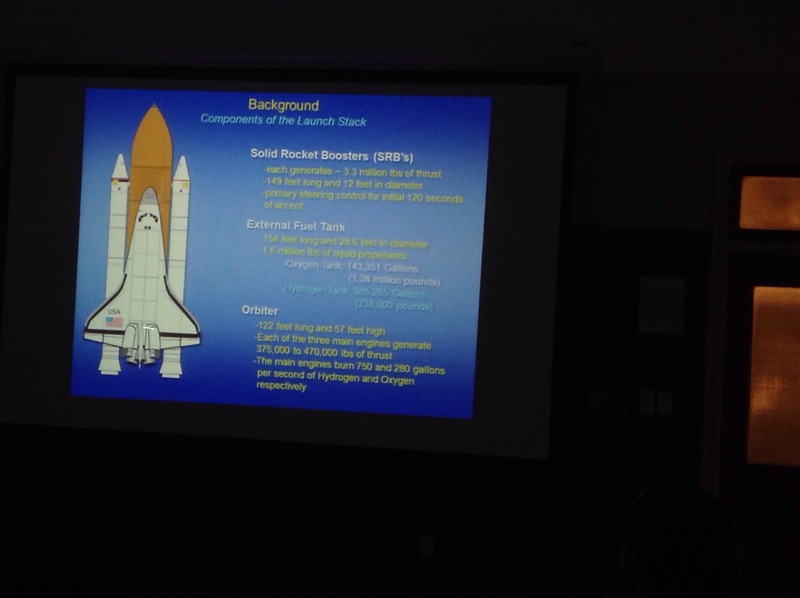 He first describe the construction of a space shuttle. Then he described what happened what happened in Columbia accident. On February 1, 2003, the Space Shuttle Columbia broke apart during reentry, resulting in loss of the vehicle and its seven crew-members. Then a group of experts assembled to conduct an investigation that the most likely cause of the loss of Columbia and its crew was a breach in the left wing leading edge Reinforced Carbon-Carbon (RCC) thermal protection system initiated by the impact of thermal insulating foam that had separated from the orbiters external fuel tank 81 seconds into the mission’s launch. 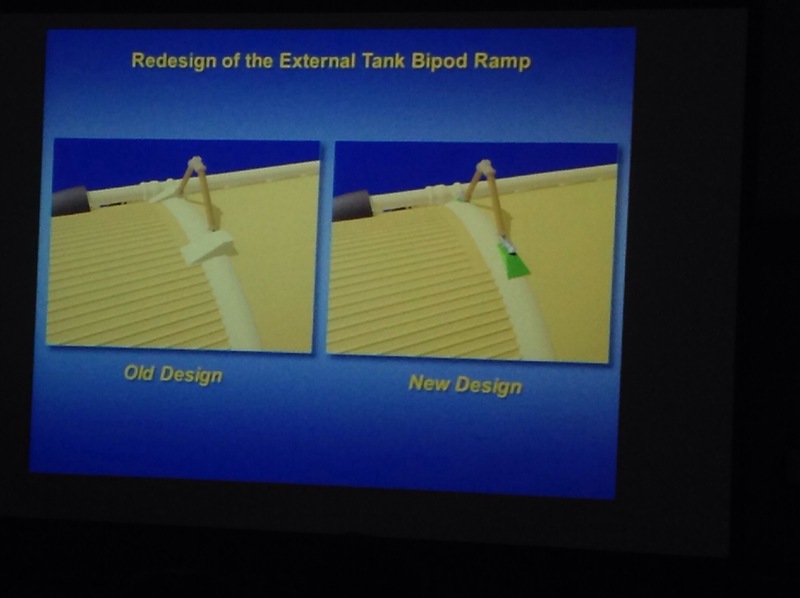 So they start to redesign the external tank bipod ramp.